The deceased's heart was taken out of the Jupiter Hospital at 1:56 AM yesterday and reached the Fortis Hospital at Mulund in Mumbai at 2:05 AM, covering a distance of around 10 kms in about nine minutes. 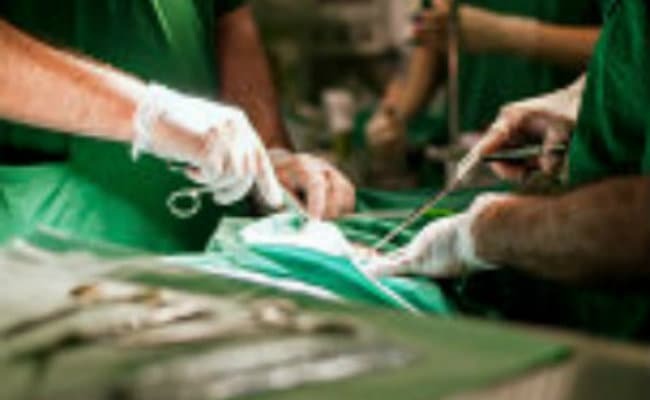 Mumbai: A 38-year-old brain dead man's organs have saved four lives after his family decided to donate them, a hospital has said. The man had suffered injuries due to a fall while he was going about his daily routine. He was rushed to the Jupiter Hospital in Thane where he was declared brain dead at 7:30 PM on Tuesday, said a release issued yesterday by Mumbai's Fortis Hospital. Subsequently, the man's organs were retrieved. The deceased's heart was taken out of the Jupiter Hospital at 1:56 AM yesterday and reached the Fortis Hospital at Mulund in Mumbai at 2:05 AM, covering a distance of around 10 kms in about nine minutes, the release said. It was then transplanted into a 56-year-old man, who was recently diagnosed with dilated cardiomyopathy (a condition in which the heart's ability to pump blood is decreased) and was put on the wait list, it said. The deceased's liver and one kidney were transplanted to two patients in the Jupiter Hospital while his other kidney was sent to a recipient in Bombay Hospital. His skin and corneas have been sent to the skin and eye banks, the release said. This was the 32nd cadaveric donation in Mumbai this year, it claimed. The donor's family has played an instrumental role and helped the lives of other people. It was a self-motivated approach and it is heartening to see more families come forward in such difficult times, said Dr Anvay Mulay, who led a team of surgeons who performed the heart transplant. "We encourage families to make informed decisions and spread the goodwill amongst others. We as a community must come together to highlight the cause which can save many more lives in the future," he said.